SNEB approves the Advisory Committee on Public Policy (ACPP) motion to sign on to a letter opposing the House rider in the FY2019 Bill that blocks the USDA from releasing sales data from SNAP authorized retailers. Read the letter here. This is the 12th Journal Club series hosted by JNEB. Based on member interest, the fall series will focus on the topic of Research, Evaluation and Practice: Analysis to Impact Behavior Change. Be on the lookout for the remaining dates as they are posted online. Understanding the importance and impact of nutrition literacy hinges upon measuring nutrition literacy using valid tools. In this presentation, we will look at the process of developing, validating, and forming scoring thresholds for the Nutrition Literacy Assessment Instrument. Related JNEB article. Implementation Science (IS) is the study of how best to support uptake and sustainability of evidence-based and recommended practices. To date, application of IS principles and designs has been limited in the nutrition education field. 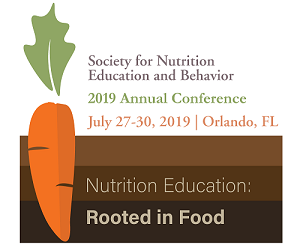 This webinar will explore the relevance of IS for advancing the field of nutrition education. Attendees will become familiar with scenarios fitting for application of IS. Further, IS methods will be compared to terminology and concepts likely to be familiar to nutrition education audiences (e.g., process evaluation). This webinar is sponsored by the Research Division and the Journal of Nutrition Education and Behavior. Taren M. Swindle is an Assistant Professor in Family and Preventive Medicine within the College of Medicine at the University of Arkansas for Medical Sciences. Broadly, her research program focuses on understanding and improving health and developmental outcomes for children impacted by poverty. Dr. Swindle has a particular focus on obesity prevention and nutrition promotion for young children in low-income families. Her work to date has focused on the early childcare setting as a key context for obesity prevention and nutrition intervention. She is interested in increasing adoption of evidence-based practices and interventions in community settings such as this through application of Implementation Science. She received her Ph.D. in Educational Psychology and Research from the University of Memphis. Position papers provide a comprehensive discussion of SNEB's policy on one or more topics. Containing extensive background information and analysis, the position paper provides a more complete understanding of the issues and the reason behind the positions(s) set forth by the organization. Topics are due to JNEB’s Editor-in-Chief, Karen Chapman-Novakofski, PhD, RDN by Oct. 1. For more details and submission requirements, click here.